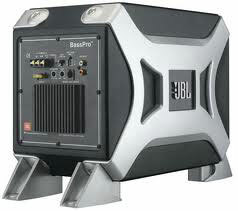 When I first saw the JBL BassPro I must admit I thought it was some sort of Droid and was expecting it make some sort of “Bee-boop Beepity Boop, Beep Beep Bop Boop!” . What it did do was some nice bass tones but that is to be expected from a company that has been building speakers for over 60 plus years! It is powered by an on-board 150 Watt RMS amp that drives its 6.5″ quad coil sub-woofer that I must say has very impressive volume capabilities! You also have the option of buying a remote bass controller for it if you feel the need to adjust the volume by a turn of a dash mounted knob. Now the size of it is perfect for hiding it away it the back of the boot or even behind your seat in some utes. Making it practical for most people that just don’t have the room for an amp & sub box. PrevWiring Subwoofers & Speakers To Change Ohm’sNextI Am Also Mad About Bass! !